We recognize that your time is always at a premium, which is why we are committed to making your visit to our office as expedient and pleasant as possible. However, rest assured we will never sacrifice personalized attention or quality dental care. We simply look to bring you the best in dental services and programs to make every moment you spend with us count. Check out the numerous ways we make it simple and more affordable for your family to get superior dental care. Nobody enjoys a stressful encounter, and suffering from dental anxiety can turn even a routine procedure into something unpleasant. We provide the options of both oral conscious sedation and nitrous oxide so you can remain calm throughout your treatment. Once your procedure is complete, we offer OraVerse™ to reverse the numbness, allowing you to go home happy and smiling. Dr. Brent is sensitive to the needs of all her patients. From their first visit when they are a year old, to the developmental years when teeth are transitioning from baby to adult, the insecure teen years when braces seem like the end of the world, to that time of life when aging brings new challenges, Dr. Brent can help you and your family maintain your optimum dental health. Dental emergencies always come at the worst times. Your focus immediately becomes easing the discomfort as quickly as possible. We can help. We're able to see you the same day to improve your outlook and bring back your smile as quickly as possible. You’ll find our office easy to locate. We’re close to Stroud’s Chicken and Einstein’s Bagels on Shawnee Mission Parkway, just west of Mission Road. 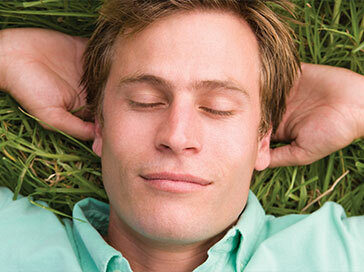 We know that life doesn’t always give you an opportunity to take care of yourself during “normal” business hours. So, we are delighted to offer evening appointments to provide more options that work within your busy schedule. Just click to schedule online now. You’ll be able to choose the specific date and time that serves you best, and you can do it at your convenience, 24-7-365! To provide you with a more comfortable atmosphere, we offer Wi-Fi internet and refreshments in the reception area. In our treatment rooms, you can enjoy our massaging dental chairs and TVs. If you’re new to our office, there will be forms to fill out. Don’t worry. We provide access to the documents for completion online, saving you time and ensuring you don’t miss any important information or questions. If you prefer to fill them out in the office, please arrive 15 minutes early for your first appointment. We provide several ways to pay for your care. If you have dental insurance, we’re happy to process the necessary forms to claim your benefits. For your percentage of the payment, we accept all major credit cards and offer a payment plan. If you don’t have insurance, inquire with us about our dental savings plan. 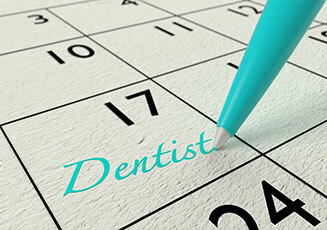 We work to provide you with efficient, convenient dental visits. Schedule online now or call us today at (913) 220-2209 to see what we mean.